The BP-200 is designed for the Rebel 2000. 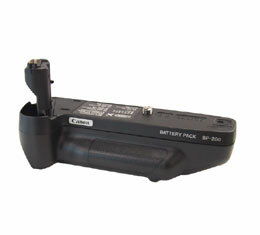 It uses either 4 AA-size batteries, or a 2CR5 lithium battery. The BP-200 also has a shutter release button with an ON/OFF , perfect for vertical portrait shots.